Cute little natural pearls are wire wrapped with oxidized sterling silver, creating a choker that's modern, feminine, and a little edgy. Wear it alone or layer it with other necklaces. The possibilities are endless! Pearl is an emblem of purity. It symbolizes love and happiness. 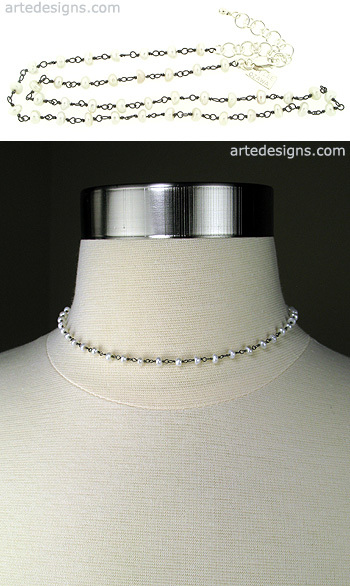 Entire necklace length with sterling silver lobster clasp is adjustable 14-16 inches.